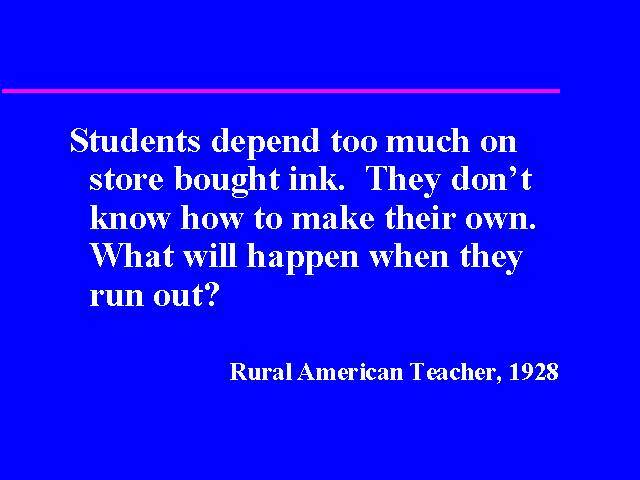 Students depend too much on store bought ink. They dont know how to make their own. What will happen when they run out?